Microsoft has released the UWP File Explorer for Windows 10 Creators Update users. But, you can’t find it or open it using any of the visible options throughout the OS. 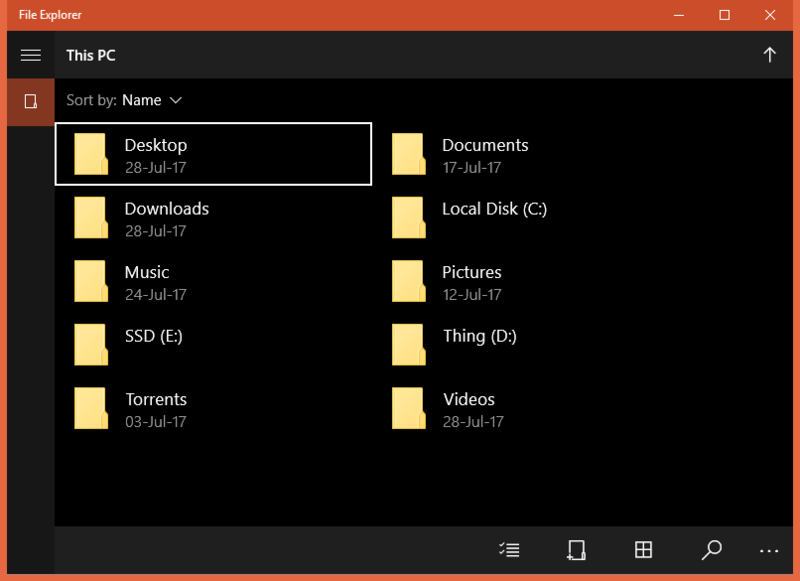 It’s there, but Microsoft has hidden the UWP File Explorer behind the explorer command which you can use to display it. Of course, since it is not available for use normally, the explorer isn’t as feature rich as the normal file explorer we are accustomed to. The only thing you can do with it is navigation. There is no support for the custom context menu items, folder options and loads of other features. Nevertheless, if you are one curious cat, you can still go ahead. The simplest and possibly the only (currently) way to use the UWP File Explorer is to use the following command in the Run box. You can also create a shortcut for the UWP File Explorer on the Desktop. Press Windows + R to open Run and type the above command. Press Enter. This will open the Universal File Explorer. Once the UFE is open, right-click on the UFE icon in the taskbar and select Pin to taskbar. After this, you can open it without manually entering the explorer command repeatedly. Alternatively, you can also create a shortcut on the Desktop for this. Right-click on the Desktop and go to New > Shortcut. Type the above command in the location box. This version is available only on the Windows 10 Creators Update. So, if you are on anything less than the build 1703, you might get an error. I’m not sure when/if Microsoft will make this explorer the default for Windows as they have done so for the Calculator and numerous other native apps previously.